Jared Payne: "When you get them at home, they're a tough team." PLAYING IN BLOEMFONTEIN will be a foreign concept for most of this Ulster team as they prepare to take on the Cheetahs on Friday night (Kick-off 6.15pm). Bar their South African contingent, which for this trip only consists of Marcell Coetzee, Jean Deysel and Wiehahn Herbst, combating the severe altitude at Toyota Stadium will be a brand new challenge. However, there is one more member of the squad who has faced the difficulties of playing in the Free State: defence coach Jared Payne. Having featured there once while with the Crusaders — a 20-13 defeat in April 2009 — the former Ireland centre is well aware of the test playing in a new environment brings. And, on top of that, Ulster are dealing with the issue of having only a five day turnaround from their win over the Southern Kings on Sunday, further complicated by the fact they had to take Monday off as a travel day. Put simply, things aren’t ideal. And that’s even before we get chatting about the opposition. It’s a tough thing, five days (of a turnaround), you have to get the balance right,” Payne concurs. “We worked the boys a bit yesterday, we’ll review training (today) and put the feet up, and then have a bit of a jog around again at captain’s run on Thursday. “But yeah, it’s a challenging thing coming up to altitude and with all that travel on a five day turnaround, but I think what the trainers have put together for us going forward and what Dan has structured has been pretty good. I think we’ll be in a good space coming into the game. Still, so far the trip to the southern hemisphere has been a successful one for Ulster who, despite not picking up the four try bonus point against the Kings, maintained their 100% start to the season with the victory in Port Elizabeth. With a host of young players on tour — the likes of Tom O’Toole, Adam McBurney, Matty Rea and maiden try scorers Angus Curtis and Angus Kernohan all getting game time in their opener – it’s also been a chance for the coaches to integrate the young players into the squad as well as take a look at what they’ve got. In between laughing at how he’s been teaching McBurney a lesson at table tennis, Payne says he thinks having the tour so early in the new season will benefit Ulster immensely going forward. It’s been good fun, I always enjoy coming to Africa and it’s good to be back, I never thought I’d be back here,” Payne says. “I love it, good food, good weather, it’s been good fun. “It’s been cool to see some of the young guys come over and experience it all, and they love it, it’s been great for them. As you’ll see from Instagram, I think some of the boys saw a peacock for the first time so they took a few pictures of that! Of course, they are here on business as opposed to simply having a team holiday. With part one done and dusted and another four points in the bag, attention turns to Friday night where the 100% record again gets put on the line. Arguably, whenever the fixtures were released, a good return from a two-game trip to South Africa was picking up five points in Port Elizabeth and something from Bloemfontein. But the markers have changed after the Cheetahs’ start to the season. To say they haven’t lived up to last year’s hype would be an understatement – last year’s play-off team have shipped 136 points in three heavy losses to start the campaign, including a humbling at their home fortress to Glasgow last weekend. Admittedly, losing 13 players during the offseason doesn’t help, but despite their wretched run of form, Payne isn’t willing to take the Cheetahs lightly. They’ll be very tough,” the rugged Kiwi insists. “I thought they were very good against Glasgow up until around 60 minutes and then Glasgow pulled away, but there was some nice rugby there, some pretty good stuff. “They’re a good team, the Cheetahs; they’ve got a nice balance and they’re going to have a lot of similar threats to the Kings in terms of the speed on the edge, but I think they might be a little bit more structured as well, but they’ve also got that flair when they need it. For Ulster, it will definitely need to be a step up from last week. 17 linebreaks were only converted into three tries against the Kings, and with the Cheetahs still in free-scoring form regardless of their leaky defence, Ulster will need to put a lot more points on the board. The signs are there – 17 linebreaks in itself is a positive sign that the chances are being created, it’s just being ruthless in capitalising on them as Dan McFarland alluded to on Sunday. But at the top of the agenda will be ensuring that firstly their ball retention is up to scratch and then that they make the right decisions in the final third to get over the line on more occasions. “The boys will be honest, we turned over a lot of ball (on Sunday) and didn’t look after it well enough at times, so I think if we can sort that out then we might finish off some more of those linebreaks,” Payne echoes. 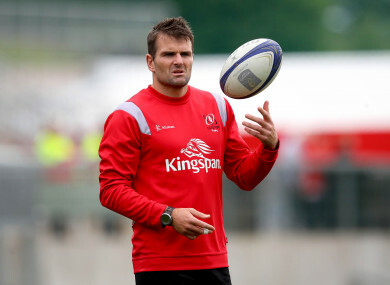 Email “'It's not an easy place to come' - Payne knows big task in prospect as Ulster travel to Bloemfontein”. Feedback on “'It's not an easy place to come' - Payne knows big task in prospect as Ulster travel to Bloemfontein”.